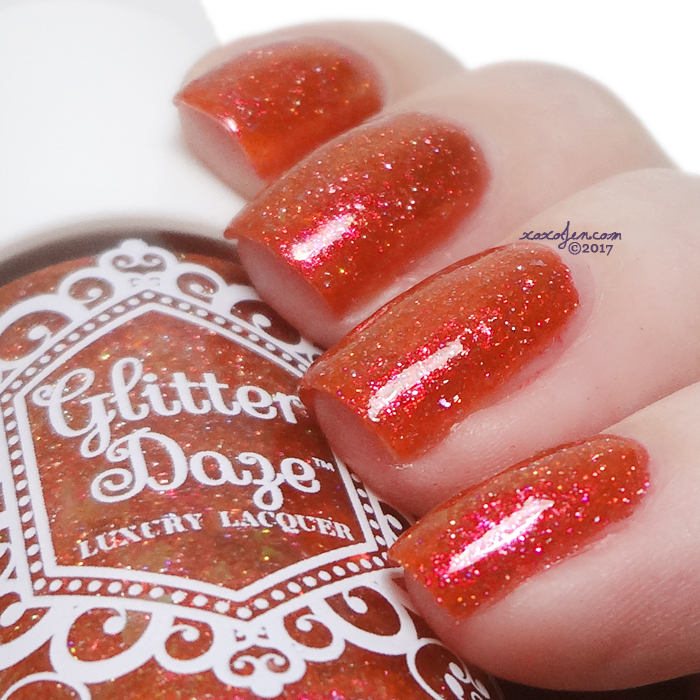 Glitterdaze is one of this month's brands in the Hella Holo Customs group on facebook. The other brand featured is Painted Polish. The pre-order launch will be announced in the group and you'll need to be a member of Hella Holo Customs to get the purchase links for each polish. 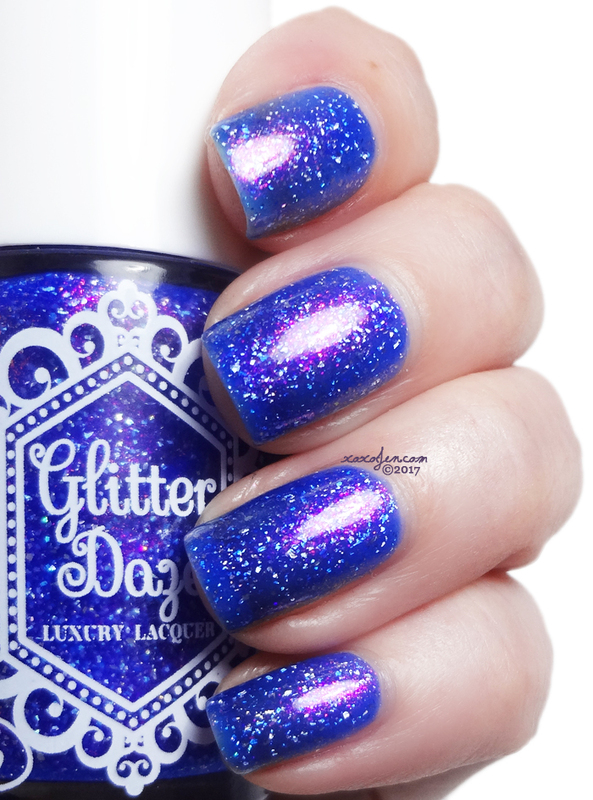 a cobalt blue jelly with pink to orange shifting shimmer with holographic micro flakes. This is fairly sheer so I left it at two coats to demonstrate how it looks at that point. I think this might be fun to use over stamping for a stained glass look. The formula was good, no issues to report. 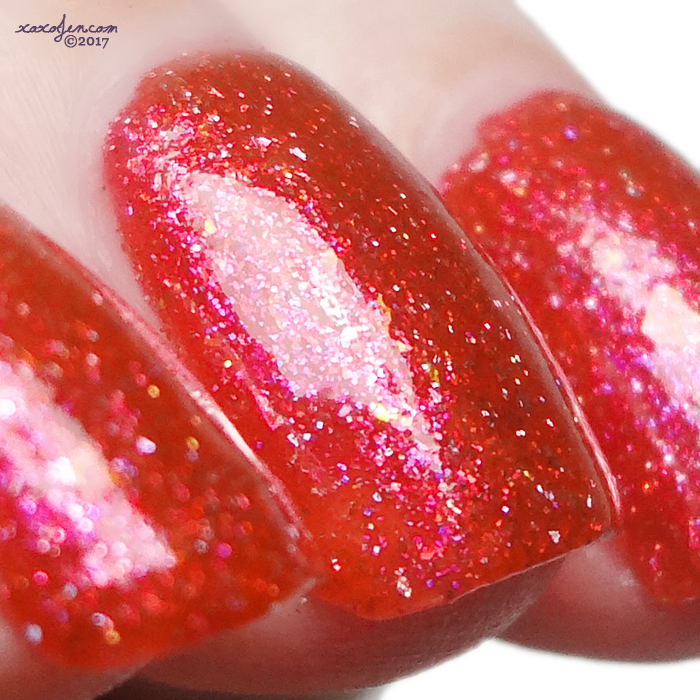 a shimmery deep cherry red with orange/purple shifting shimmers, micro holo glitters, micro holo flakes, and some really gorgeous orange/fuchsia/magenta iridescent flakies. Shifty witch! It looks red, it looks orange, and it looks almost pink. How in the? Shown is two coats, almost opaque in one. Formula was good, no issues to report. 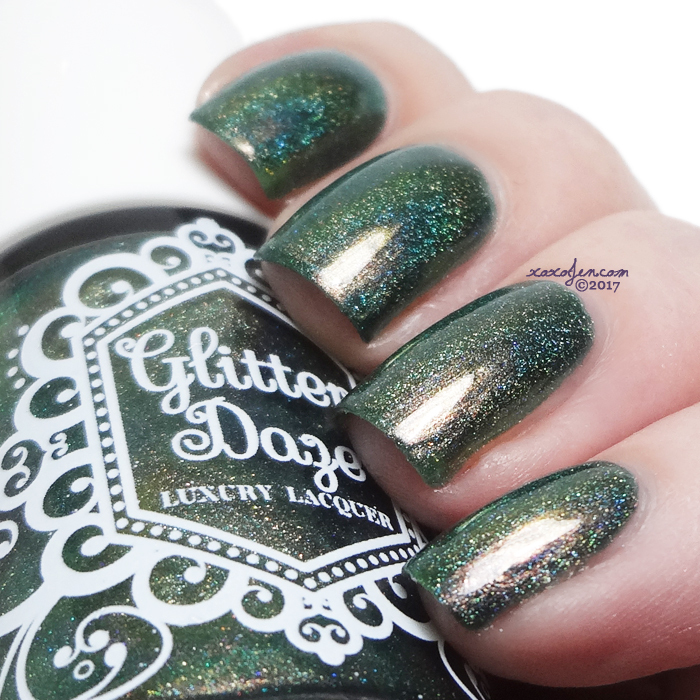 a linear holographic multichrome that shifts from pink to bronze in a forest green base. 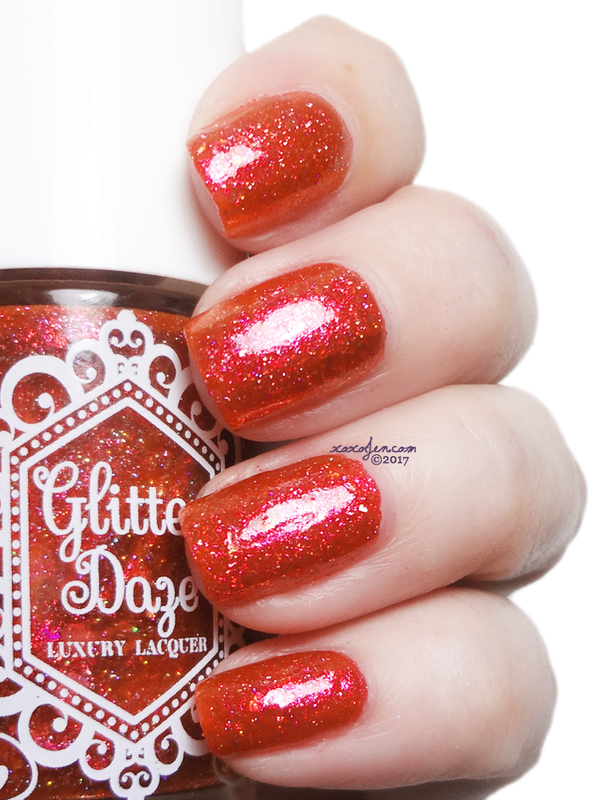 Sana picked Austen Grace's name for this polish. In love. 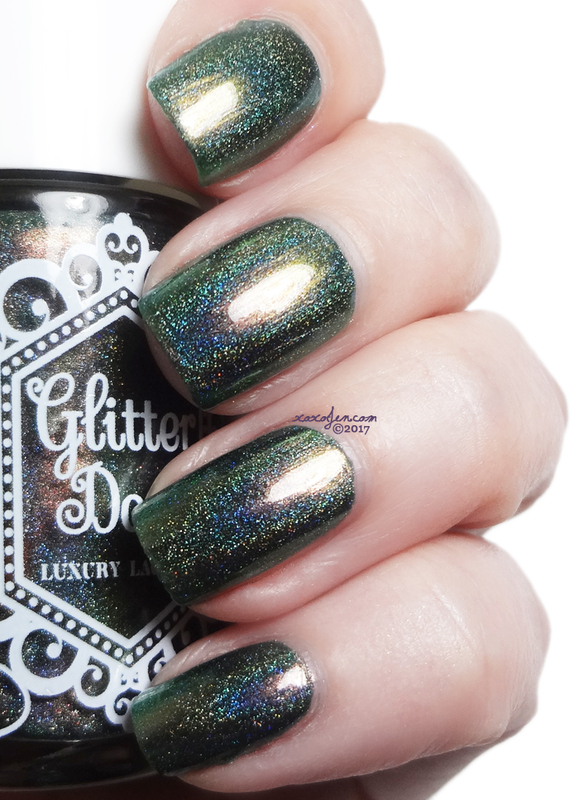 It's green, yet has this super coppery shimmer that tricks the eye into thinking the polish is an olive green. Shown is two coats. Formula was great, no issues to report. 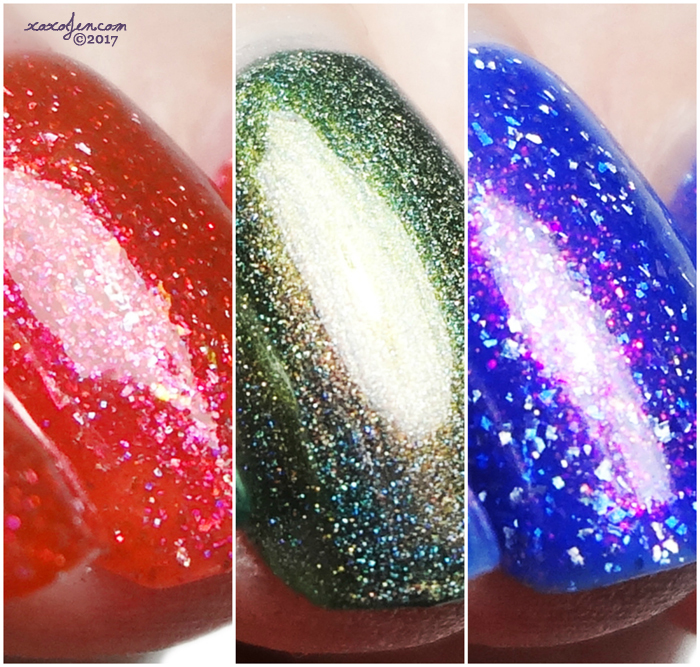 Each of these have good formula and lots of sparkle! Join the Hella Holo Customs group on facebook to find out the launch dates! 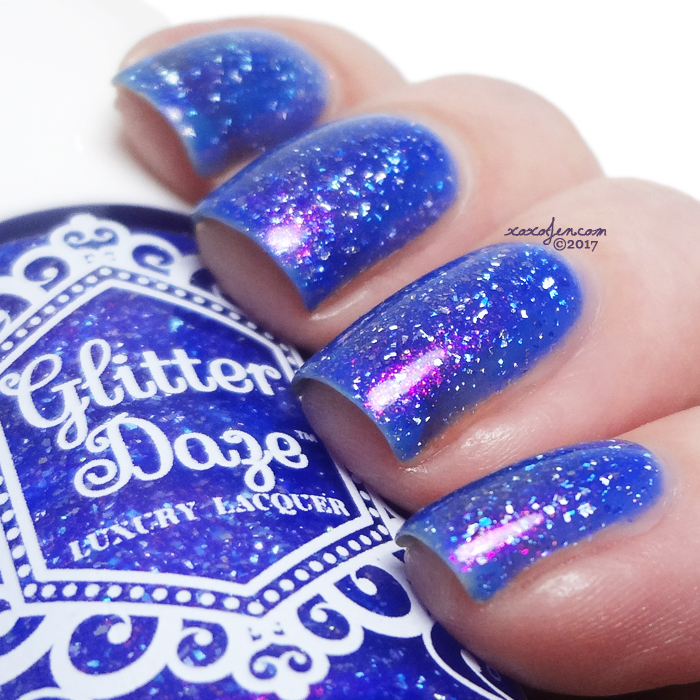 These polishes are simply gorgeous! Love Asylum and Red Witch!